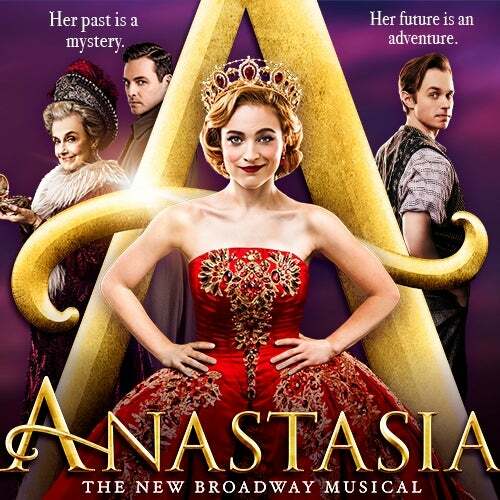 Why not take a “Journey to the Past” with the Broadway premiere of Anastasia? Based on Twentieth Century Fox’s 1997 animated classic (as well as the 1956 Ingird Bergman-led, live action film), the Broadway production officially opened at the Broadhurst Theatre on April 24, 2017, following previews from March 23, and established itself almost instantly as a fan favorite. 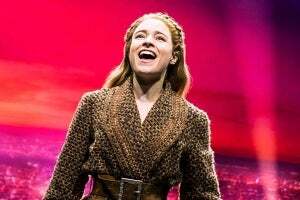 It also made a bona fide star out of its leading lady and original cast member Christy Altomare as Anya/Anastasia, accompanied by strong, supportive performances from Derek Klena and Ramin Karimloo as Dmitry and Gleb, respectively. Original cast member Mary Beth Peil also earned a Tony nomination for “Best Performance by an Actress in a Featured Role in a Musical” for her emotional and nuanced portrayal of the Dowager Empress. The musical’s illustrious creative team saw the reunion of the Tony Award-winning writers of Ragtime, as Terrence McNally agreed to write the book and team up once again with the song-writing team of composer Stephen Flaherty and lyricist Lynn Ahrens. Having already earned two Oscar nominations for the animated movie (for “Original Score” and “Original Song” for “Journey to the Past”) in 1998, this gave the duo of Ahrens and Flaherty the perfect opportunity to re-visit their prized material and extend it for a full-length Broadway production. And with the Tony Award-winning director of A Gentleman’s Guide to Love & Murder Darko Tresnjak at the helm, the musical was always going to be in good hands. With stunning, Drama Desk Award-winning projections by Aaron Rhyne and lavish, Tony-nominated costumes by Linda Cho, the Broadway production is a feast for the eyes, transporting the audience directly to early twentieth century Saint Petersburg in Act I and to the year of 1927 in Paris in Act II. Aside from the title character’s epic “Journey to the Past” number, the musical also features the much-loved songs “A Rumor in St. Petersburg”, “Paris Holds the Key (To Your Heart)”, and the hauntingly beautiful “Once Upon a December”. Discover the legend of the Grand Duchess Anastasia Nikolaevna of Russia for yourselves in a way that only Broadway can bring to life. From the twilight of the Russian Empire to the euphoria of Paris in the 1920s, the new musical, Anastasia, is the romantic, adventure-filled story of a brave young woman attempting to discover the mystery of her past. Pursued by a ruthless Soviet officer determined to silence her, Anya enlists the aid of a dashing con man and a lovable ex-aristocrat. Together, they embark on an epic adventure to help her find home, love and family. The new musical is inspired by the Twentieth Century Fox animated classic. Good news for Cody Simpson fans! The Australian singer-songwriter has extended his Broadway debut engagement in the hit musical Anastasia for a further 8 weeks and will now play the role of Dmitry through to April 14, 2019 at the Broadhurst Theatre. Simpson is best know for his career as a recording artist, having released a total of three studio albums to date: "Paradise" (2012), "Surfers Paradise" (2013), and "Free" (2015) and five EPs, spawning such hits as "iYiYi," "All Day," and "Pretty Brown Eyes". He was also a participant on the 18th season of ABC's "Dancing with the Stars" in 2014. Her "Journey to the Past" began last night... Emmy Award winner and two-time Tony Award nominee Penny Fuller assumed the role of the Dowager Empress in Broadway's hit musical Anastasia at yesterday evening's performance at the Broadhurst Theatre. Two-time Tony Award winner Judy Kaye played her final performance in the role on January 6, 2019. New citizens of St. Petersburg! 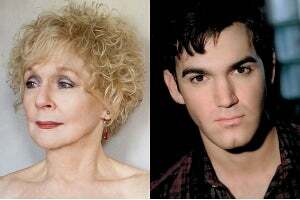 Emmy Award winner and two-time Tony Award nominee Penny Fuller is set to assume the role of the Dowager Empress in Broadway's hit musical Anastasia this winter, whilst original company member Constantine Germanacos will rejoin the cast and take on the role of Gleb. Two-time Tony Award winner Judy Kaye is set to play her final performance as the Dowager Empress on January 6, 2019, with Ms. Fuller beginning performances the week of January 7, and Tony Award nominee Max von Essen will end his run as Gleb on December 16, 2018, with Mr.
A new leading man takes a journey to the past! The cast of hit musical Anastasia welcomes Australian singer-songwriter Cody Simpson to the Broadhurst Theatre tonight as he makes his Broadway debut and assumes the role of Dmitry, as scheduled. Former cast member Zach Adkins played his final performance in the role on November 25.